The VBA FormatNumber function applies a number format to a numeric expression and returns the result as a string. The expression that you want to format. 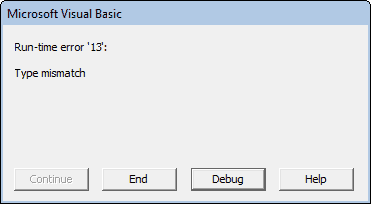 The following example shows how the VBA FormatNumber function can be used to format numeric values. Each example uses different formatting rules.
' Format numeric values in different ways.
' num1 is now equal to the String "1,000,000.00".
' num2 is now equal to the String "1000000.00".
' num3 is now equal to the String "101".
' num4 is now equal to the String "(500.00)". When only the Expression argument is provided, the function uses the default number format for the current system. When the [GroupDigits] argument is set to vbFalse, the number 1,000,000 is returned as the string "1000000.00" (with no commas separating the groups of numbers). When the [NumDigitsAfterDecimal] argument is set to 0, the supplied expression, 100.55 is rounded to zero decimal places before being returned as the string "101". When the [UseParensForNegativeNumbers] argument is set to vbTrue, the negative value -500 is returned as the string "(500.00)". Note also, that in each case, the result that is returned from the FormatNumber function is a String data type.